By and large, companies depend very much on advertising – they pay hefty amounts to the media, pitch in professionals to churn out the best advertisement concepts possible, and study the after effects of the advertisement, whether they have helped in reaching the brand’s goals or not. The main aim of advertising is to take a product well into the customers, raise the sales and retain the same, sustain the brand image of the company and the trust that the customers have in the company. Advertising impacts the economy, the thinking of the customers, the competitiveness of the market, and the demand and the supply. Behind the scenes, advertising follows many concepts – customer’s tastes, budget, lifestyle habits, thinking attitude, competitor analysis and many more. At micro level, or talking in terms of micro economics, the impact of advertising is very profound. This post discusses some areas of micro economics where advertising plays a key role. When advertising is all about impacting the customers’ mind and making them think about the usage of the product that is being advertised, no doubt that the decision making process of both the customers and the companies is based on advertising. Advertisements are always designed in such a way that they stress that customers always get that ultimate happiness when they buy the product being shown. They trigger the hidden needs of the viewers and thus, they make them think that the product is mandatory for them and turn them into customers of the product. On the other hand, companies too analyse how customers are reacting to their ads. Especially in this internet age, counting the opinion and catching the pulse of customers about an ad or a product is not difficult. They then take many business decisions based on the outcomes. Thus, advertisements impact both the customers and companies. Customers often get impressed by the image value or the brand strength of a product. They also check the quality and lifespan of the product they are going to purchase by comparing various brands and then make a decision about the final purchase. It is often easier to persuade customers in the name of brand rather than selling on a local name though with a good quality. Advertising makes this easier – it makes the name of the product listed into the minds of every customer who watches the ad. It needs awareness for customers when a product first enters into a market. They should know that this product has come with some special features as compared with the ones already existing in the market. For example, some of the foreign brands that enter a national market become hit, while some other become huge flop. This is all about correct advertising and reaching out to the customers right. Some products such as beauty and styling, apparel, perfumes, and other such related items need to create an impression that by using these products the customers can create their own personal identity that makes them stand apart from others. At a micro level, this is very important factor for retaining retail customers. Business is all about meeting the demand at the right moment. For this, companies create a sense of urgency to the customers mentioning that “few days only”, “offer till stock exists”, “last two items left” etc. This makes customers rush to buy the product in a false belief that they are missing out on something, if they do not make a purchase. This indirectly creates an artificial desire for the customer and urges them to buy the product. Some advertisements target a whole bunch of human relations. For example, insurance companies, home furnishings, food and health supplements, investments, etc. They frame their advertisement concepts around the whole lot of relations – father, mother, kids, elders, and the emotions among them. This indirectly effects the purchasing habits of all the relations involved. Some companies also take surveys and try to impart their ideas and make customers think that their products are essential for the whole of the family. Some advertisements also create an imprints on customer minds such that they carry forward the importance of the product to their next generations too. Thus, advertising plays a key role in microeconomics – both at customer level and at company level. EssayCorp is the best online academic writing service provider in the US, UK and Australia. 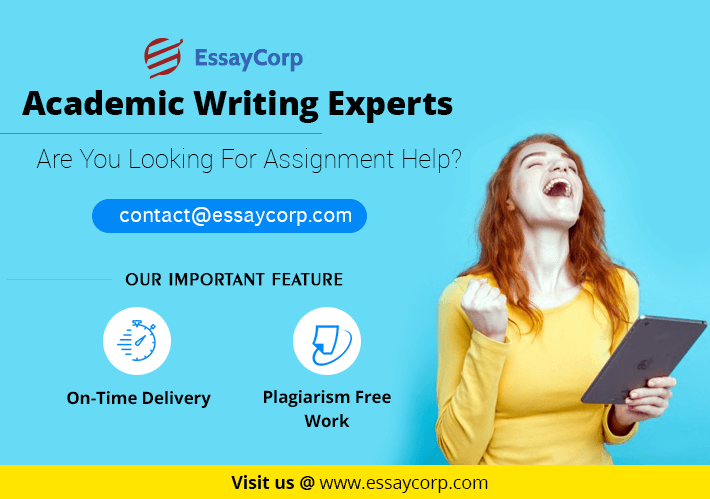 Hire EssayCorp for Availing the best Economics Assignment Help at an affordable price, with Top-notch Quality content.